Last month, my short story One on One in the Studio was published as part of the Men at Work series with JMS Books. 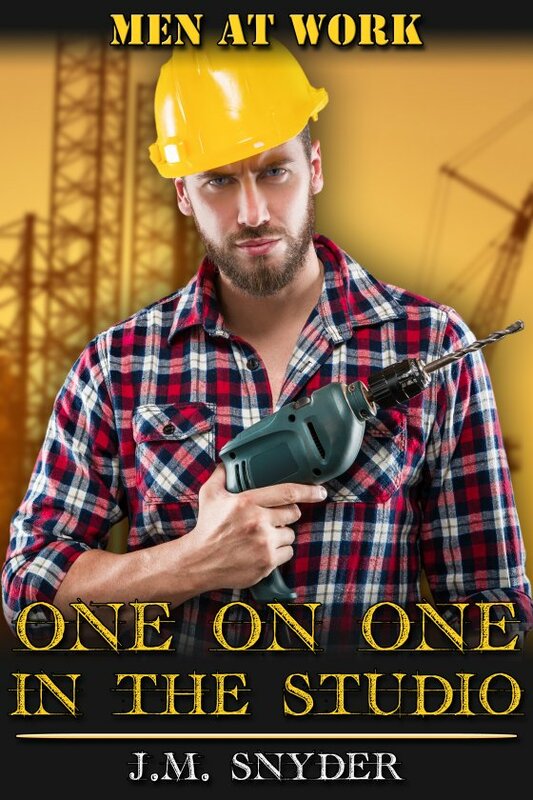 Though the cover shows a guy in a hard hat holding a drill, my story is about a different kind of worker — and one readers who have been with me a while will recognize all too well. The idea for this story came to me while I was driving home one day from the store. A lot of authors might get their ideas in the car, but I’ll be honest — most of mine come in the shower. I don’t know why, but maybe I get my best ideas when I can’t write anything down? I don’t know. Anyway, I was listening to the music on my iPod on shuffle when the song “Signs” by Snoop Dogg came on. You know, the one where Justin Timberlake sings in the background. This was one of the first things he did after leaving ‘N Sync, and to be honest, the first time I heard the song on the radio years ago, I almost drove off the road. You see, in case you somehow missed it, I used to write ‘N Sync slash. I’m still a HUGE fan of the group, and Justin/Lance will always be my OTP. I listen to their music to this day (as well as JT’s, even the songs he collaborated on, I love them all … with the exception of “Señorita,” that one just doesn’t do it for me). So it was no surprise when “Signs” came up on my playlist. But this time, I got to thinking … about a young, rising star and an older recording artist, and the two of them alone in the studio when the mics were off. I cut my teeth writing boy band slash, as you probably know, and it always feels like I’m going back to my roots whenever I write a song about musicians. If you enjoyed any of my band fic, then you’ll really like this story!